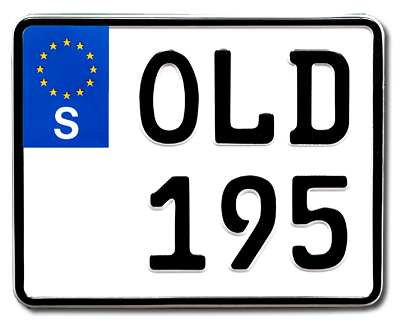 The Old Swedish MC plate is made of reflective aluminum with embossed letterings and with the EU-sign. The plate was produced in Sweden until the end of 2013. Standardsize 195 x 155 mm. Max 4 characters/row.